In previous years, beaded bracelets have earned its way to the top spot as the most popular wrist accessory for the majority of men around the world. Its popularity relies on its very vast collection and choices. 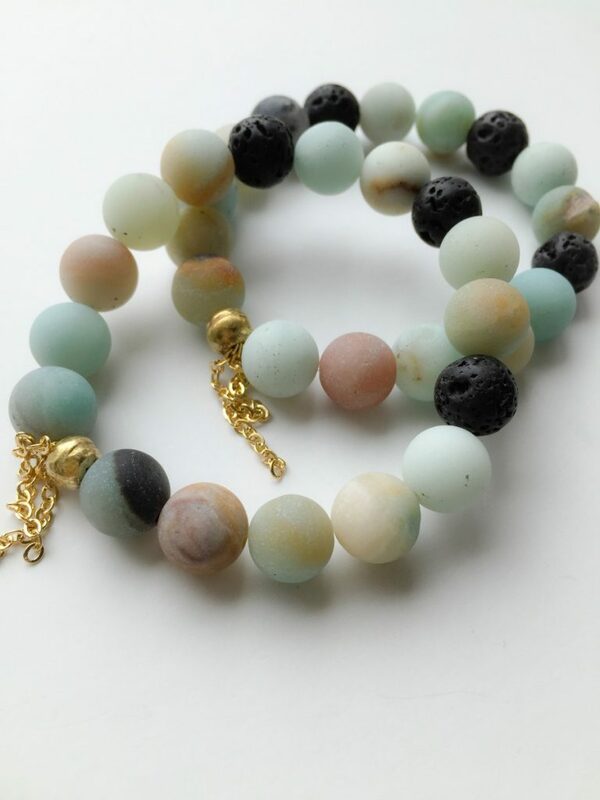 You can either go and wear wooden varieties, to ethnic-inspired, plastic, precious stones, crystals and glass beaded bracelets that complements any outfit styles, mood, and dress code. Beaded bracelets for men looks great when stacked, mixed-and-matched the beaded patterns, as well as sizing, the materials, and color for a good combination. Wearing a formal suit looks way cooler nowadays because of beaded bracelets, you can go monochrome or go fully vibrant depending on the occasion and outfit that you wear. Beaded bracelets for men are the most common types of bracelets also and are the cheaper types compared to chain bracelets which are usually made up of precious metals and this is also the type of bracelet that is always available in many fashion stores and department stores as well as in online shopping. The beaded bracelets for men always consists of a stretch string that is stacked with multiple beads that are made up of different materials, and most of the best quality beaded bracelets are made from natural stones like lava stones, obsidian, and even marble which are refined and made into beads while there are also that are made from gold, bronze, silver, and copper. Mostly, beads are shaped to circle or round, but there are also shaped differently depending on its style. Beaded bracelets are very popular to men who love to experiment their fashionable outfit as well as complement their formal outfit to make them look hip and classy at the same time that is why beaded bracelets are proven to be one of the best styles of bracelets out there. These can be worn with any outfit as long as it complements the color and the tone of the outfit. If you want to look sharper and classy at the same time, the best advice is to wear a beaded bracelet that can always go with anything you wear. This, however, do not mean that beaded bracelets have already replaced the timeless wristwatch, in fact, beaded bracelets paired up with a wristwatch makes it very perfect for each other. Times have changed actually, and beaded bracelets are taking over the world of men’s fashion slowly. The big question is, where does beaded bracelets or bracelets, in particular, become popular before? According to fashion experts and archeologists, the ancient Egyptians during the Ptolemaic era, people wear bracelets, braziers, and cuffs that symbolizes their fashion and even their status symbol. In the following centuries, bracelets have become either for fashion or for warfare, while some even wear it as a religious artifact. Until in the 1970’s era where Stock Wood gathers all the hippies around the world, a lot of people wears different styles of bracelets including beaded bracelets and exchanges it to their friends as a symbol of friendship, until it eventually became a fashion accessory up to this day. Famous personalities like politicians, celebrities, athletes, and influencers are very noticeable for wearing beaded bracelets or other types of bracelets so when it comes to its trend, probably it will last long enough. Vice Lipstick: Moisturous Lipcolor that magically Makes your Lip look Luscious!